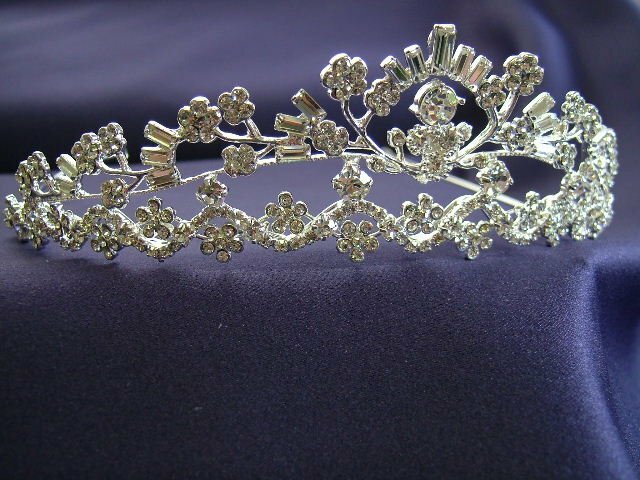 Warren York tiara in silver. Diamante in every curve and flower with silver cylindrical beads in between on top edge. 4.8cm tall at widest part.